The highlight of my Sundy was a trip to Hartlepool and Hornby Live. The show has a new venue, in Hartlepool College of Further Education, and this provided a very pleasant bright and airy space to view the exhibits. As in previous years there were a decent number of layouts and a huge number of trade stands. I spent far too much at the digitrains stand on Gaugemaster OPTI decoders and on train detection circuits. Ive never tried OPTIs before, but they appear to offer good value for money to get an ever growing loco fleet usable in DCC. Train detection is a project for the future, but there are now lots of components in stock for when time allows some layout rewiring into block sections. Hornby and Bachmann were bot in evidence, with the former displaying some nicely finished examples of the new Thompson O1 in both LNER and BR livery, along with a number of unpainted early pressings of other 2012 items. The Bachmann cabinet had a very nice Scottish Director on display. 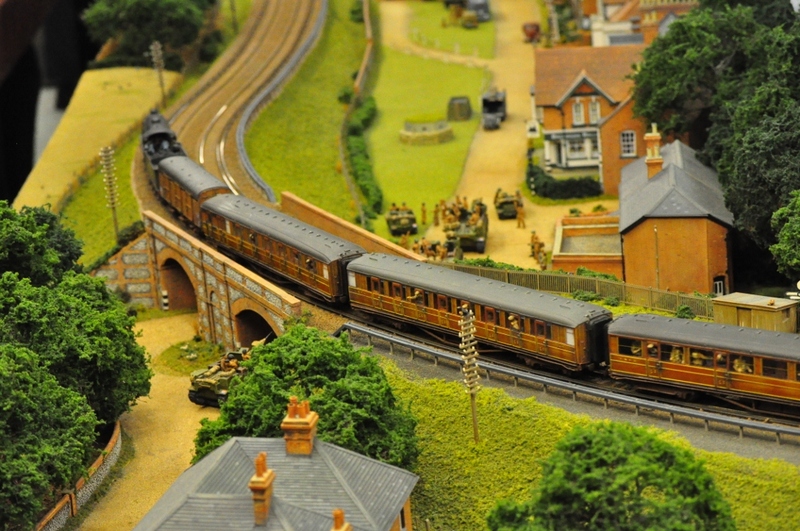 DCC was in huge evidence, the Hornby Magazine layout “Bolsover” was running using PC contol from Hornby’s Rail Master, and sported quite a number of engines with both sound and smoke. This really added atmosphere. Elsewhere was a very nice locomotive depot “Haymarket Cross” with lots and lots ECML engines both deisel and steam but all sound fitted. For Scottish fans there was also a very nice branchline with a distillery. I had an interesting conversation with the owner about how to introduce the right authentic smell from that feature. We did speculate what might happen if malt whisky was introduced to a smoke unit in a distillery chimney! A number of Hornby Magazine staffers were on hand, and I had a very enjoyable conversation with Phil Parker, later discovering his excellent blog. I’m suddenly inspired to update the Rede Valley blog more regularly, which in turn should drive me to do more modelling so I have something to blog about. 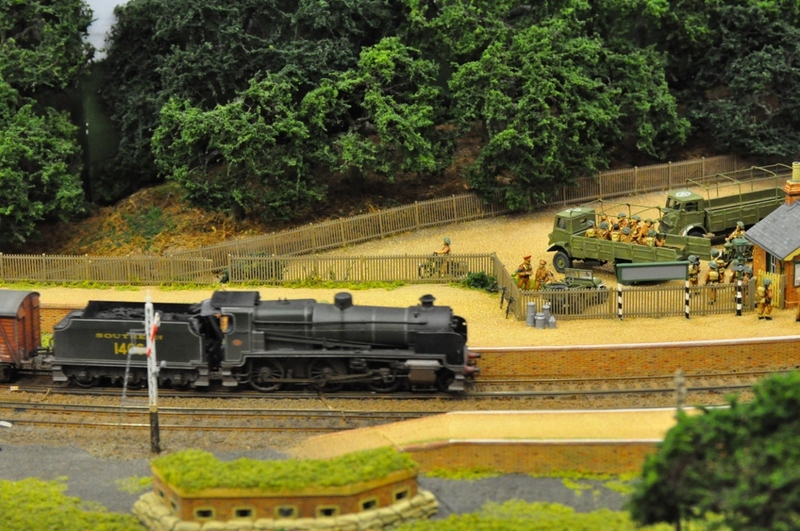 And the highlight of the show…….One of my all time favourite layouts, and the one that inspires me to more wartime stuff on the Rede Valley, “Rowlands Castle” by Pete Goss. More information on Rowlands Castle can be found on Pete’s Website. along with an early taster of the next project. Any Waverley Route Fans in East Midlands?